A California motorist was arrested last week in Summit County and charged with human trafficking after being caught with eight undocumented immigrants in his vehicle. The County Attorney’s Office has filed charges against 33-year-old Juan Pedro Nieves of El Monte, California. Their charging document says that last Tuesday, a county deputy conducted a record check on a Ford Expedition, heading eastbound on I-8o, and found its insurance status was unknown and invalid. When the deputy conducted a traffic stop, he observed that the driver, Nieves, was shaking and breathing heavily, the vehicle windows were covered with temporary dark shades, and eight passengers were sitting shoulder to shoulder in the rear. Investigation revealed that none of the passengers were lawfully present in the country. Some had been deported before and all were originally from South America. Following his Miranda warning, Nieves said he knew his passengers were undocumented. He was transporting them from California to Chicago. He said he started human trafficking this January. Nieves said he charges each person $150 and asks them to help pay for gas and hotel stays. The suspect said he does one or two trips a month, and profits about $1,200 per trip. Nieves also admitted that during the traffic stop, he had erased all the contents of his smart phone, to keep evidence from being discovered. The suspect has been charged with Human Smuggling, a third-degree felony—Obstructing Justice, a Class A Misdemeanor, and Having No Insurance on the Vehicle, a Class C Misdemeanor. 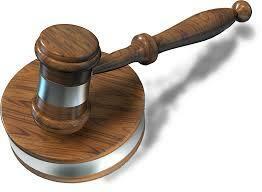 The county is asking for an increase in bail, since the defendant has no ties to Utah. 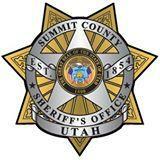 The activity over the past week for Summit County Sheriff deputies included a reported fraud case--and multiple instances of some unwanted visitors to residences and a business. Last week, the Sheriff's Department received a complaint from an Ogden resident. After living with family for a year, she said she bought a residence in Roy, and was attempting to transfer the utility account she had been paying from her old residence to her new house.